Hello there! 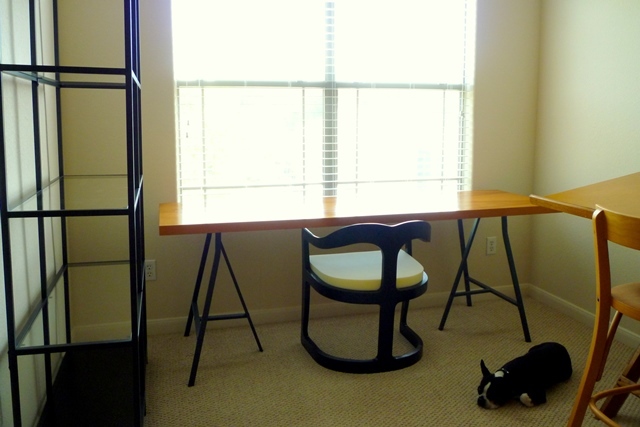 Since I last wrote about my plan to make over my office nook, I’ve made progress! I thought you might like to see how it’s going. 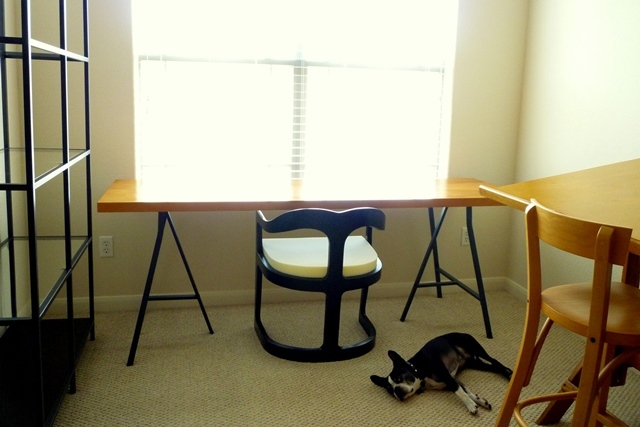 I bought the shelves (Vittsjo), as well as the trestle legs (Lerberg) for my desk, from IKEA. Assembling them was easier than I had feared. I think I only swore half a dozen times. Not too bad. I also bought a thick piece of foam (cut to size for only $4!!!) from a local upholstery shop for my chair. 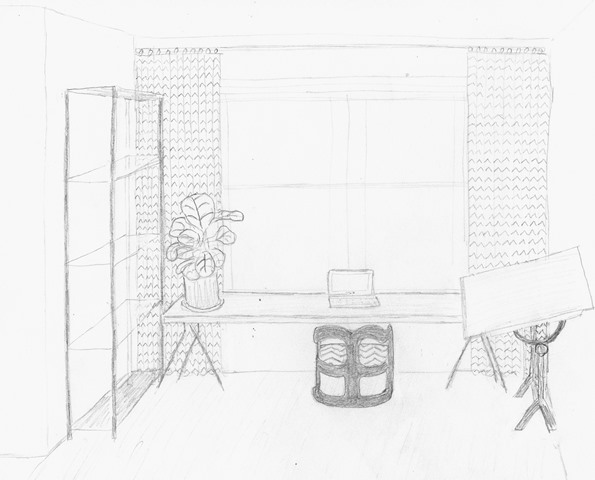 Here is my original sketch of how I imagined my new office nook would look. 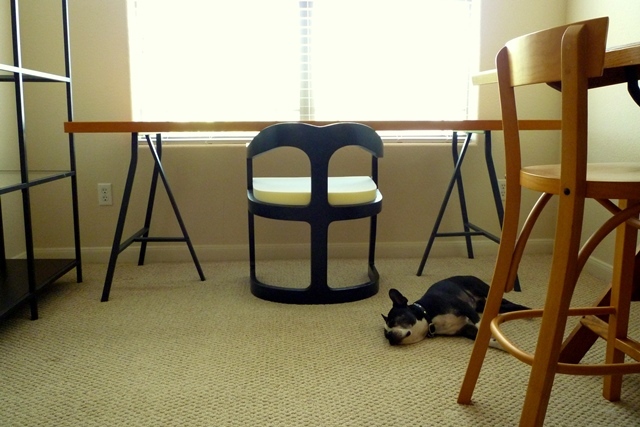 Do you think our Boston Terrier, Haepi, knows he goes so well with the color scheme? 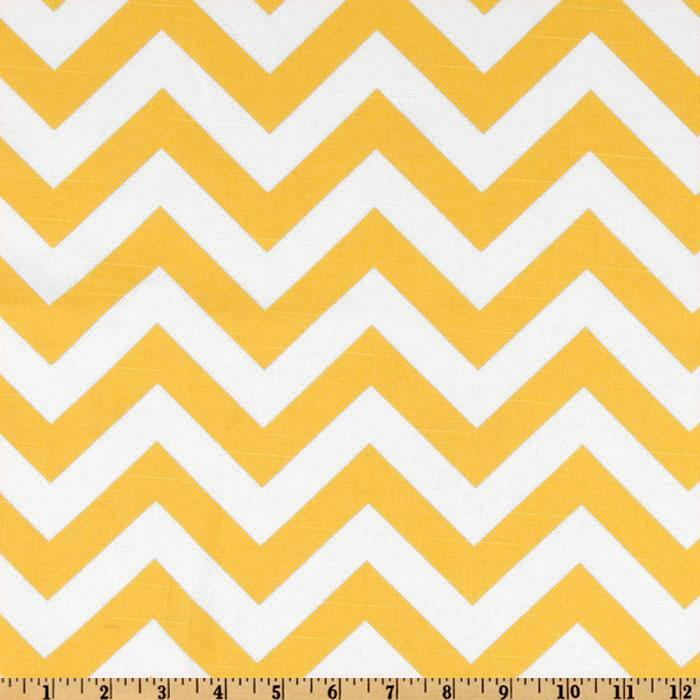 The yellow and white chevron fabric has arrived from fabric.com, and I am so excited about it! Now I need to wash and iron it and figure out my game plan for making the curtains. The desk looks great under the window, right? I couldn’t be more pleased. Even though it’s not finished (and my chair is just a piece of foam and an unattached board!) I’ve been working in this space for a few weeks now, and it’s so amazing. It’s funny how something as simple as where you are sitting can make such a big impact on a person. My husband likes his study dark and cave-like, but I hate working in there. I throw the blinds open and turn on every light, but I still feel all gloomy in his study. But not in my new sunny nook! I can actually write better when I’m sitting in here. What’s left: finishing the upholstery on the chair, making the curtains (and hanging them, ugh), and styling the space, as the decorator say. I actually have already started stealing books, frames, decorative objects, etc. from other parts of the house for my desk and shelves. I left them out of this photo, though. I’ve got to make sure my final photo is dramatic! I also made a visual monthly organizer for my desk that I’m super proud of; there is a photo of it on Instagram. I’ll be posting on that soon as well.